If it were up to your dog, he’d be on a steady diet of pizza and cheeseburgers. Since those things aren’t good for dogs, your job as a pet parent is to pick healthy food made especially for canines. Choosing a food brand can be daunting enough with all the different choices out there. And what about type of food? And then there’s canned versus dry — which should you pick? Let’s break things down by the best dog food for all life stages. A Puppy eating by Shutterstock. When my Corgi, Nigel, was a puppy, I fed him the puppy food recommended by his breeder. It was a quality premium brand, and he liked it. He only ate dry kibble because his sensitive tummy couldn’t handle the canned version. Dry food has less moisture than canned, so Nigel was less likely to get loose stools with dry food. Puppies are as different from dogs as human babies are from adults when it comes to what their digestive systems will tolerate. While Nigel had trouble with canned food, my parents’ Pomeranian, Monique, did great on canned food as a puppy. The best way to feed a puppy is to use a food formulated especially for young dogs and to give the amount listed on the bag or can. Being a Corgi, Nigel would have eaten three times the recommended amount of food if I’d let him, but the result would have been an overweight puppy who may have developed joint problems. I had to deal with sad puppy eyes when he asked for more and I said no, but it was for his own good. A year-old French Bulldog eating by Shutterstock. Dogs in the age range of 6 to 18 months are ready for adult dog food. They need a lot of energy at this age, so a quality food with a good amount of calories is the best choice. My friend, Jorge, feeds his 10-month-old German Shepherd a premium-brand kibble for adult dogs. Hemi is a bundle of energy, and Jorge finds it hard to keep weight on him. Hemi gets a big helping of dry food twice a day and is still hungry all the time. Dogs his age are very active and are still growing, so they usually have big appetites. Luckily, dog food manufacturers usually offer kibble in different sized bags. You can find bags starting at 5 pounds all the way up to 50 for some brands. If you have a small dog, you should buy a smaller bag. You don’t want to store dry food for more than 30 days because it starts to lose its freshness. 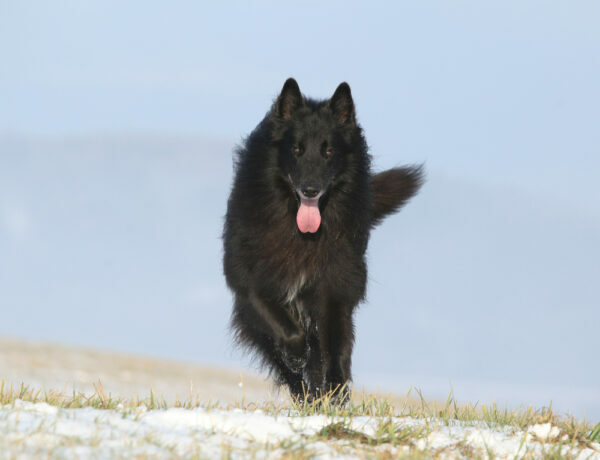 A six-year-old Groenendael by Shutterstock. My 6-year-old Australian Shepherd mix, Candy, has a slow metabolism. When I first adopted her from my local shelter, she was about 5 pounds overweight. She was probably eating kibble at her former home, and I’m sure that’s what she was getting at the shelter. To help her lose weight, I started her on a quality canned food. Canned food is generally lower in carbohydrates than dry food, and since Candy isn’t a very active dog, I thought putting her on a lower-carb diet would help her shed the pounds. After a few months of eating a measured amount of canned food, Candy dropped her extra 5 pounds. I then put her on a maintenance diet, which consists of both canned and dry food. She’s now at a good weight on this diet. My friend Michelle, on the other hand, recently had to increase her Australian Cattle Dog’s food portions because Annabelle was a little too lean. After her vet referred to Annabelle as “a Victoria’s Secret model with no fat reserves to fall back on,” Michelle upped Annabelle’s kibble ration. Annabelle quickly gained about 2 pounds. She still has a lean body, but you can’t feel her ribs or hips anymore. A senior dog by Shutterstock. My neighbor’s senior Dachshund, Maynard, has arthritis and some other health issues that mean paying special attention to what he eats. Not only are Maynard’s teeth not working really well these days, he also has a tendency toward a picky appetite. His owners feed him a brand of canned food that he really likes. The wet food is easy for him to chew, and it also gives him more water in his diet. 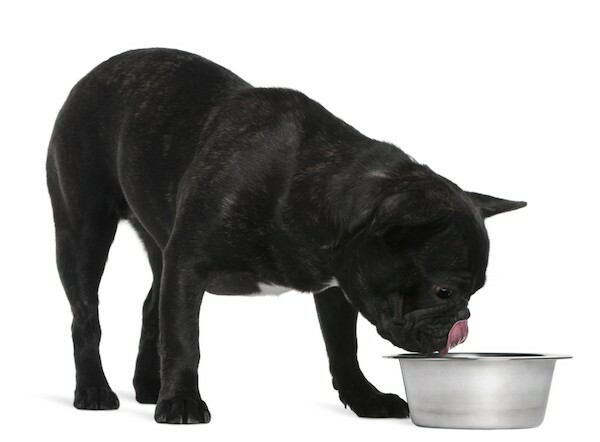 “The added moisture in canned foods may be beneficial for older dogs to help them stay hydrated,” said Straus, who pointed out that adding water to dry food can do the same. But in Maynard’s case, he doesn’t want dry food. He only wants canned. And at his advanced age of 16, Maynard gets what Maynard wants. Fresh fruits and vegetables (as long as you stay away from grapes or raisins, which can cause kidney failure in dogs). If you share some of these healthy foods with your dog, only give him a little bit as a top dressing on his dog food. Too much of a good thing can upset his stomach — and leave you wishing you’d stuck with dog food. 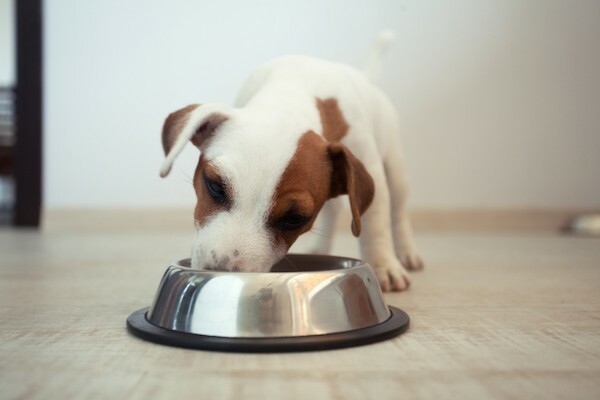 Dog Feeding Schedule: How Many Times a Day Should a Dog Eat? About the author: An award-winning professional writer and editor, Audrey Pavia is a former managing editor of DOG FANCY magazine and former senior editor of the AKC Gazette. She is the author of The Labrador Retriever Handbook (Barrons) and has also written extensively on horses as well as other pets. She shares her home in Norco, California, with a rescue dog named Candy. 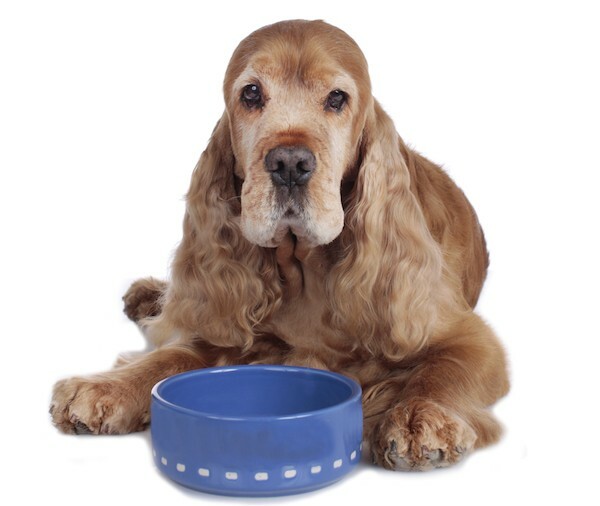 The post The Best Dog Food for All Life Stages appeared first on Dogster.